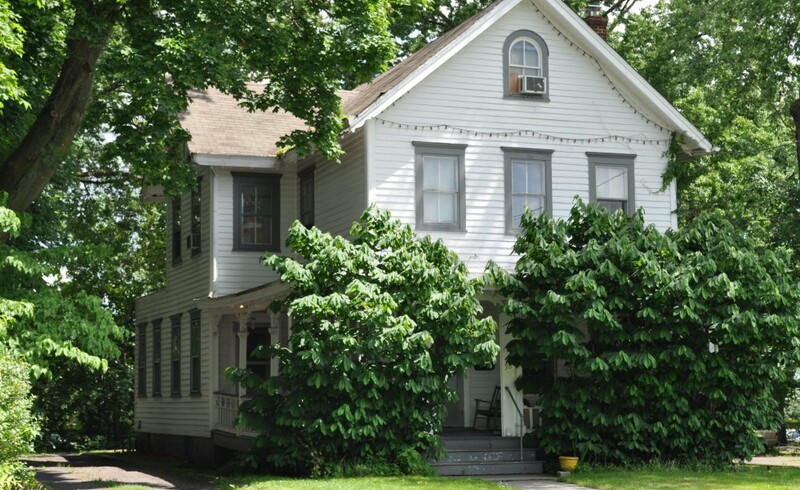 The Sears Headley and Joseph Zellers farmhouse is a 2 ½ story single-family house. It is one of the oldest remaining buildings on Burnett Avenue. A post–Civil War structure, it is a vernacular building with Gothic Revival influences. Sears Headley, Sr. (1832 –1890), who probably built No. 38 Burnett Avenue and owned the property from 1873-1890, was a well-regarded merchant in Middleville, later Hilton (currently the Hilton Section of Maplewood.) His store was an important economic and social hub for the community and later housed a post office as well. Joseph Zellers Sr. (1849-1910) purchased 38 Burnett Avenue upon his retirement in 1897 (recorded in 1898) and moved his family to the village of Hilton, later the Hilton section of Maplewood. Mr. Zellers established a fruit growing and selling business on the property.